LONDON – Bonhams sale of the art collection of the Abraaj Group, a private equity company, made a total of $5.9 million over three sales conducted October 23-24. Every lot found a buyer, making this a white glove sale. Top lot of the collection, an untitled work by Manjit Bawa, sold for $614,000. Bawa’s works are devoid of landscapes or other superfluous details, recalling the style of Rajput and Pahari miniature painting. 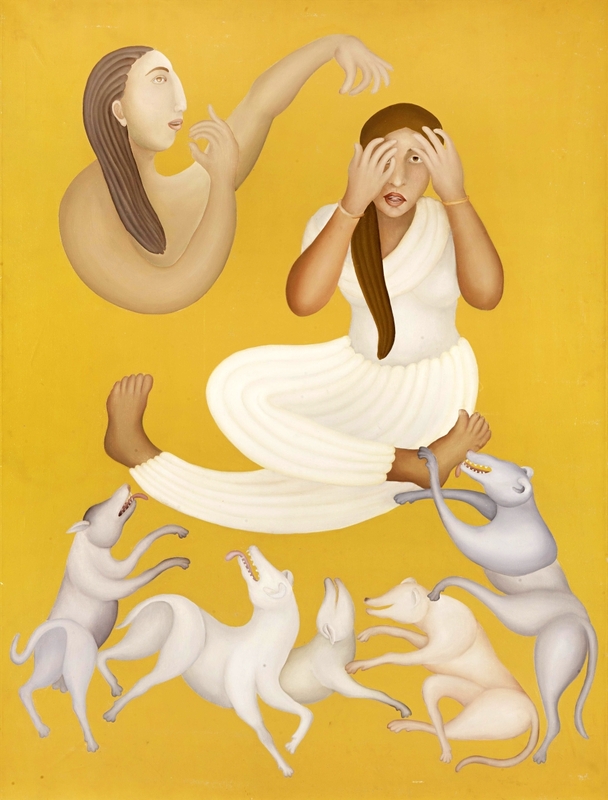 The coexistence of man and animals is a recurring depiction in his paintings, here exemplified by a seated woman in traditional Punjabi clothing surrounded by dogs. For more information, +44 20 7447 7447 or www.bomhams.com. KENNEBUNK, MAINE – “The October 13 auction was our usual well-rounded fall sale, with country and formal furniture, banjo and tall clocks, Oriental porcelain, silver, paintings, Oriental rugs and other desirable lots,” said Rich Keating, co-owner of J.J. Keating Auction. “The auctioneer Kent Driscoll moved quickly through the day, selling lots that had bids from inside the gallery or by telephone. And the audience was quite pleased with the lots throughout the sale, with some pleasant surprises all day.” One of those nice surprises was an A.E. 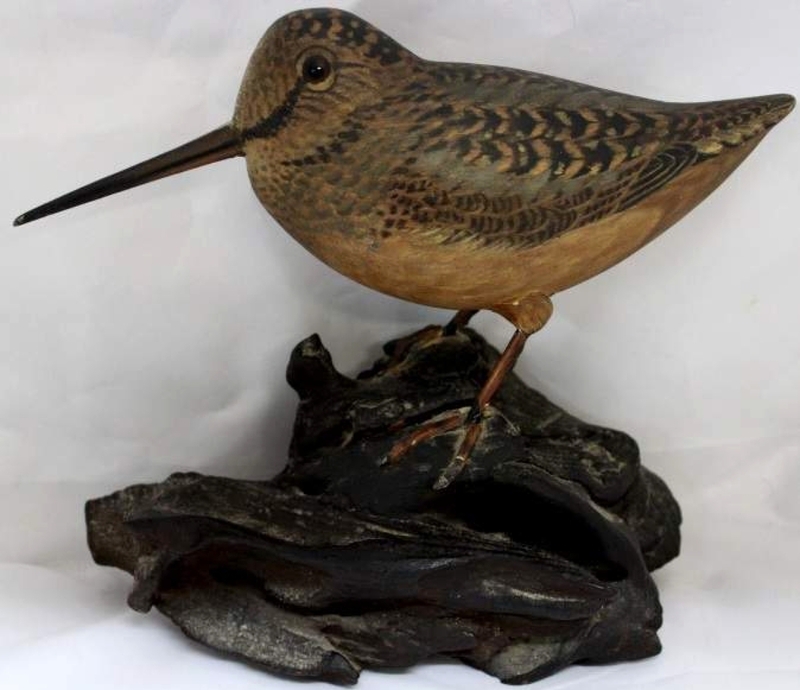 Crowell maker Cape Cod woodcock carving that went out at $7,765. For information, 207-985-2097 or www.wwwjjkeating.com. GREENWICH, CONN. – The auction business at Black Rock Galleries (BRG) continues to grow for the seventh consecutive year, particularly with regards to the online auctions offered through the firm’s Greenwich satellite location, which reported nearly $1 million in gross sales from its two-day auction series, which closed on October 10. 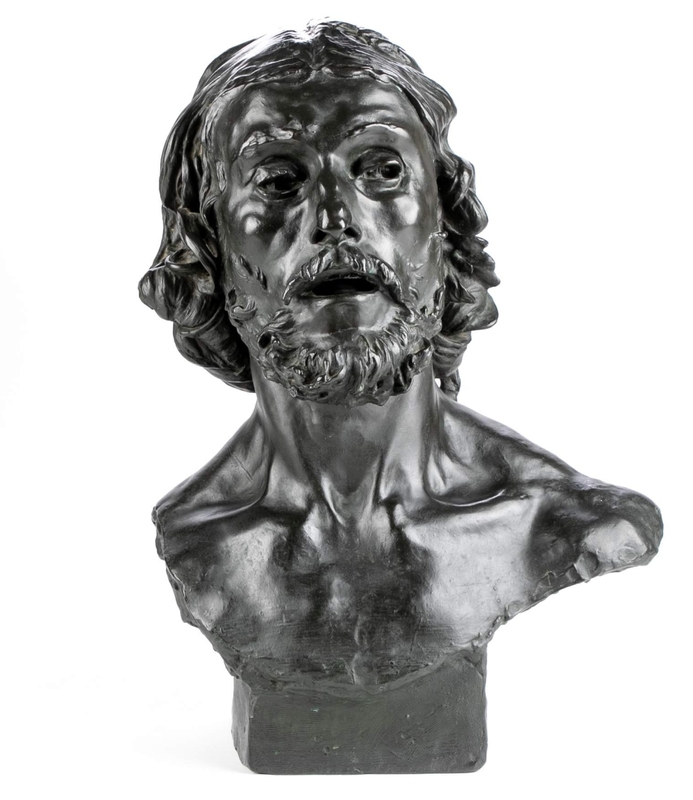 The event featured an Auguste Rodin “Buste de Saint-Jean Baptiste,” among other items, and this highlight alone grossed more than $450,000. For additional information, www.blackrockgalleries.com or 203-335-0000. NEW YORK CITY – Doyle’s conducted a successful auction of prints and multiples on October 22, showcasing works spanning the Seventeenth Century to the present day. With competitive bidding in the saleroom, on the telephones and via the internet, the auction totaled $1,046,500, with 92 percent sold by lot and 99 percent sold by value. 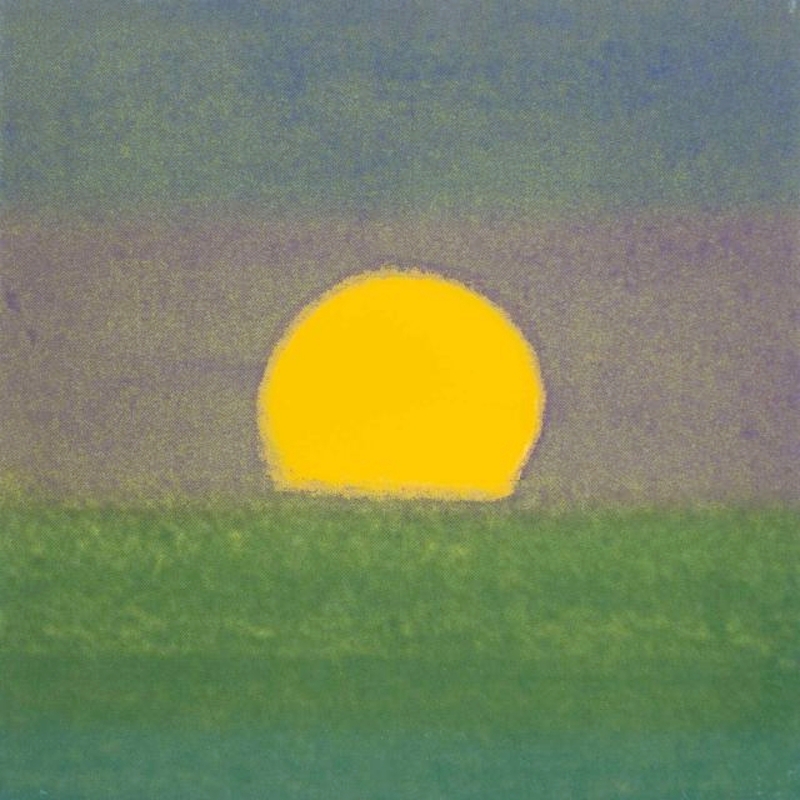 Highlighting the sale was a unique color screen print from 1972, “Sunset,” (shown) by Andy Warhol, which achieved $50,000, at the top of its $30/50,000 estimate. Also by Warhol was “Blackglama (Judy Garland),” a color screen print from 1985, which fetched $25,000. For information, 212-427-2730 or www.doyle.com. 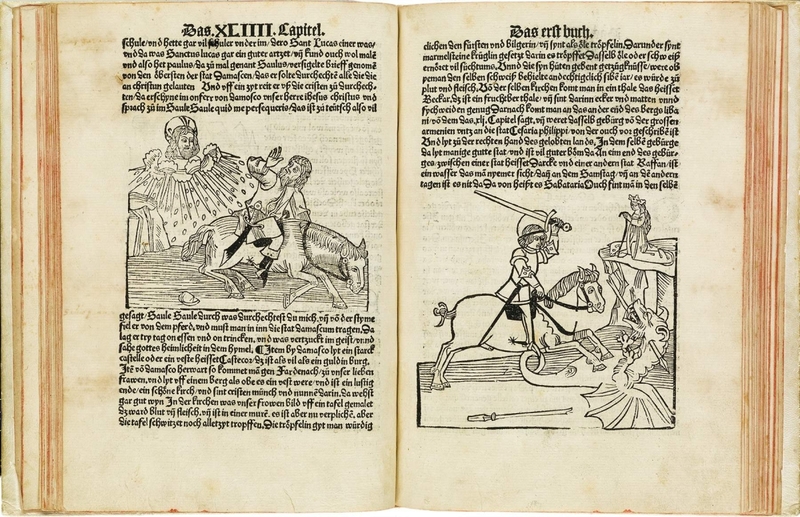 NEW YORK CITY – Swann Auction Galleries’ auction of early printed, medical, scientific and travel books on October 16 garnered eager interest from bibliophiles, exceeding the sale’s high estimate and earning more than $750,000. The top lot of the sale was a Fifteenth Century edition of Reysen und Wanderschafften durch das Gelobte Land, Strassburg, 1488, by Jean de Mandeville, which sold for $106,250. The book, a seventh edition in German, translated by Otto von Diemeringen, is especially noteworthy as an account of the known world dating from the mid-Fourteenth Century and mentions the Holy Land and routes there from Europe, Asia and Africa. For more information, www.swanngalleries.com. DENVER, PENN. – For decades, cherry-cheeked Santas and cackling witches stood compatibly alongside Easter bunnies and turkeys in the Dolph Gotelli holiday collection. That colorful parade of characters crossed the auction block together at Morphy’s on October 24-25 in an 818-lot single-owner sale. The top prize was a unique and rare Santa candy container featuring a 11½-inch-tall Santa in a green coat and flocked boots with a yellow woven basket on his back. The basket has a lid that opens for candy. 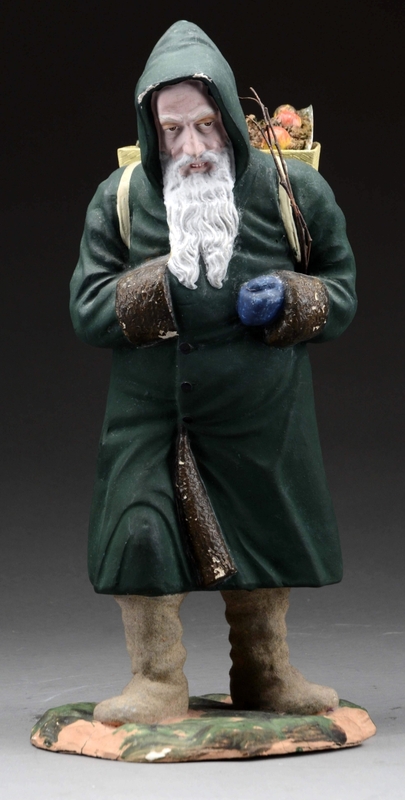 With only one other example known, Santa rocketed from his $3/5,000 estimate to bag $17,220. For information, 877-968-8880 or www.morphyauctions.com. NEW YORK CITY – “The sale went well, and there were a lot of happy bidders,” Bob Ross of Augusta Auctions said about the October 24 auction conducted at Landmark on the Park, across from Central Park. 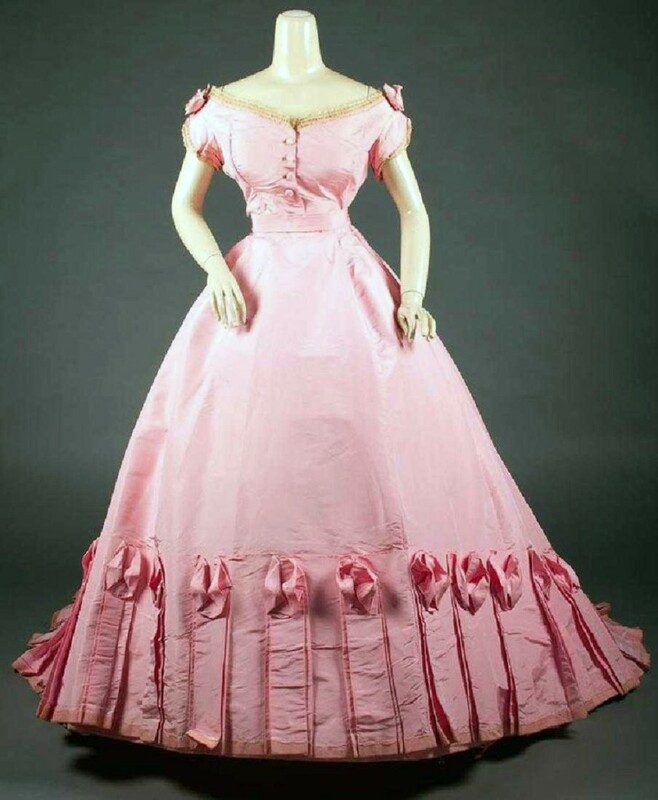 The high-performing lot of the sale was a pink Vignon gown, probably among the 12 earliest Paris-labeled gowns still in existence, which was competed for by two museums; no word on which one paid $34,800 for the labeled “Mon Vignon, Paris” silk gown. “We thought it would sell for $800 to $1,200, but it is extremely rare and in very good condition,” said Ross. For information, www.augusta-auction.com or 802-376-7166. DALLAS – The original furniture from Craig Ellwood’s 1957 Hunt House, selections from a Robert Couturier interior and a large group of drawings by noted architect Frank Lloyd Wright led the total from Heritage’s October 21 design auction to $1,071,704. “The home of Victor and Elizabeth Hunt, perched above the ocean in Malibu, Calif., remains an important moment in California modern architecture, and Ellwood’s well-published interior shows his work at his best,” Heritage Auctions director of design Brent Lewis said, adding that in this collection, Couturier balanced striking European contemporary design with iconic French Art Deco. 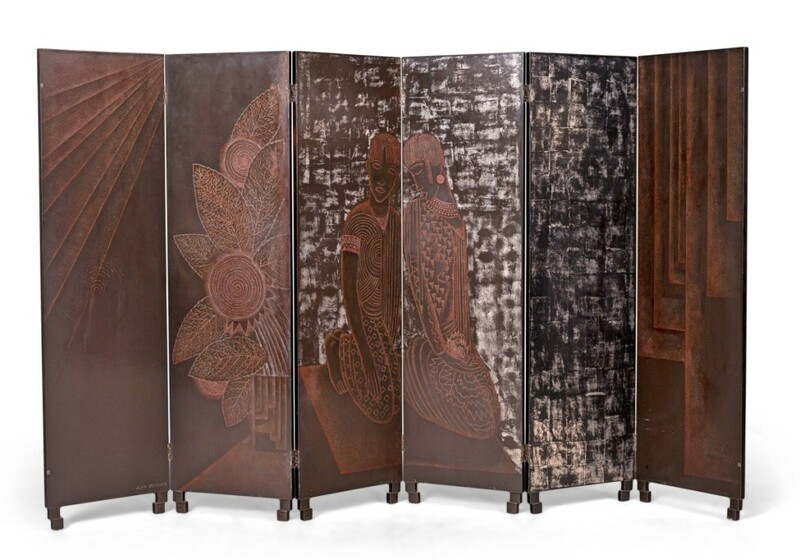 It is no wonder that a highlight from the Couturier collection was the top lot of the day when Jean Dunand’s “Two Figures” six-panel screen, circa 1928, sold at nearly nine times its high estimate, as numerous bidders drove its final price up to $275,000. For information, www.ha.com or 877-437-4824. PLYMOUTH, MASS. – Josh Rioux, chief auctioneer at J. James Auctioneers & Appraisers, said the firm had an interesting lot that went beyond expectations at its fall art and antiques auction on October 27. 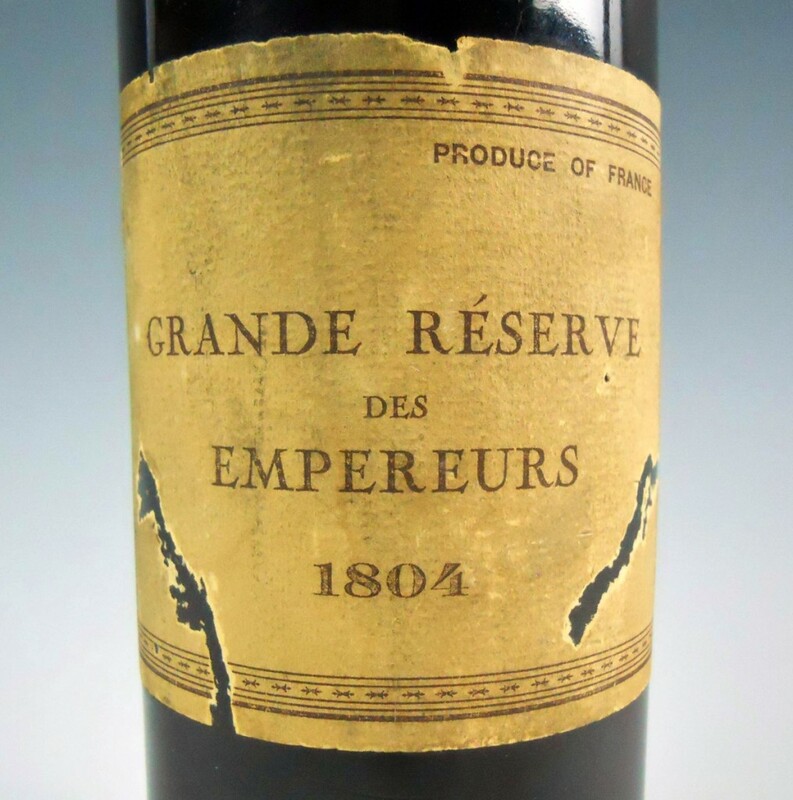 A bottle of cognac, “Grande Reserve des Empereurs 1804,” sold for a total of $3,422. For information, 508-746-8608 or www.jjamesauctions.com.